I have never applied for an APRC and would have no idea where to begin, however, seeing as it is more secure than a JFRV and seeing as many people who follow this blog may be interested, here is a comprehensive guide. An APRC is superior to an ARC in that you are no longer a resident based on the whims of an employer. It is superior to a JFRV in that it isn't based on your marriage and can not be voided after a divorce or the death of your spouse. 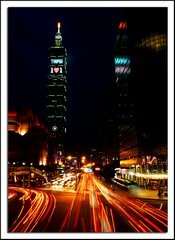 However, it does have restrictions such as the minimum amout of time you need to stay in Taiwan etc. All of that is dealt with in the above given links. Renunciation of citizenship and naturalization is a huge step and not to be considered lightly, and due to the inherent disadvantages of a work related ARC or an ARC, the APRC is what I would recommend to 99.9% of foreigners. Besides, if you can't qualify for an APRC it is rather unlikely you will be able to qualify for citizenship unless you're married to a Taiwanese citizen. Also, many countries, such as the USA, don't allow resumption of citizenship once it has been renounced, and those that do are usually rather expensive or difficult to resume (with a few exceptions, like Australia). Hence, for the vast majority of foreigners, an APRC is more than sufficient and will suit most needs perfectly.